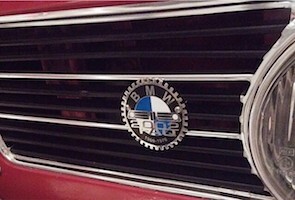 BMW 2002 FAQ Grill badges. Includes all the hardware needed to mount on you '02 grill, or any other grill. 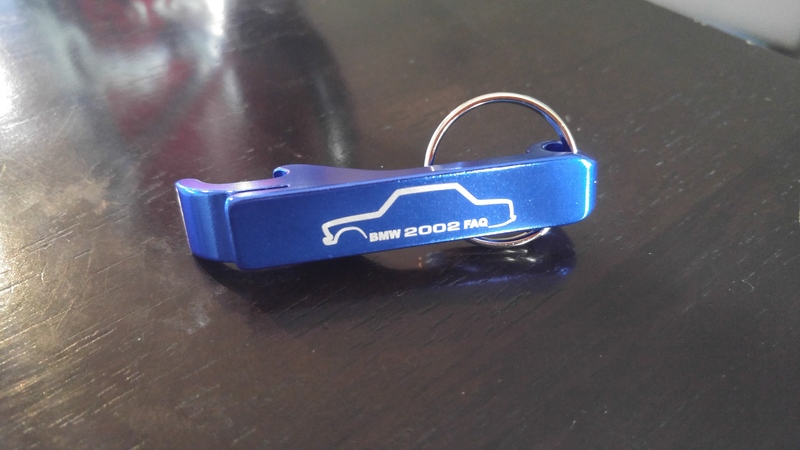 These key chains are made of durable metal and will never break or make you lose your keys off the key rings. Double-wall ceramic tumbler is 6.5-inch tall and microwave safe! 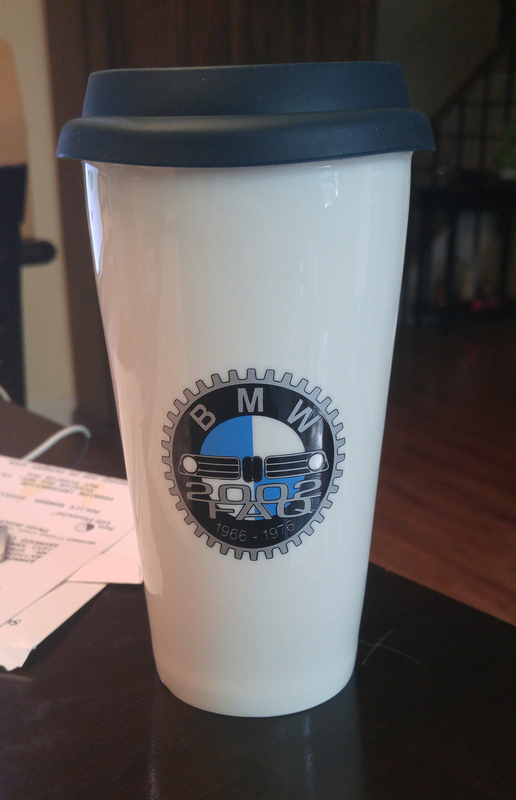 Tumblers are extremely durable and can hold up to 15oz of your favorite drink! Comes with silicone lid. 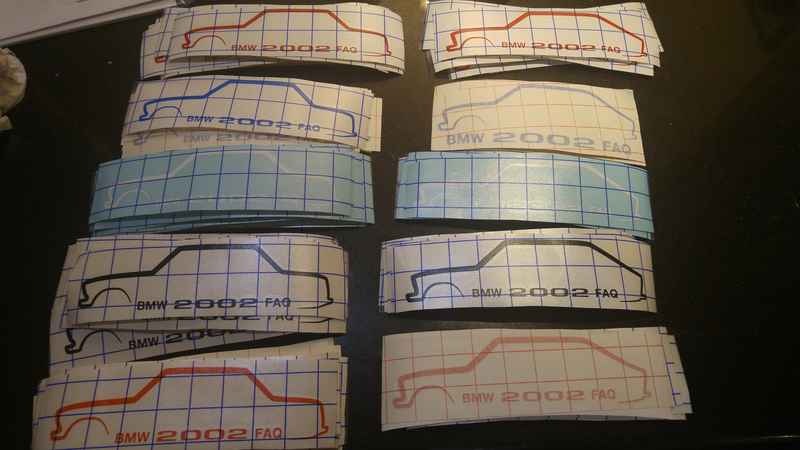 Represent the 2002 FAQ community with your own BMMW 2002 FAQ Silhouette Decal. 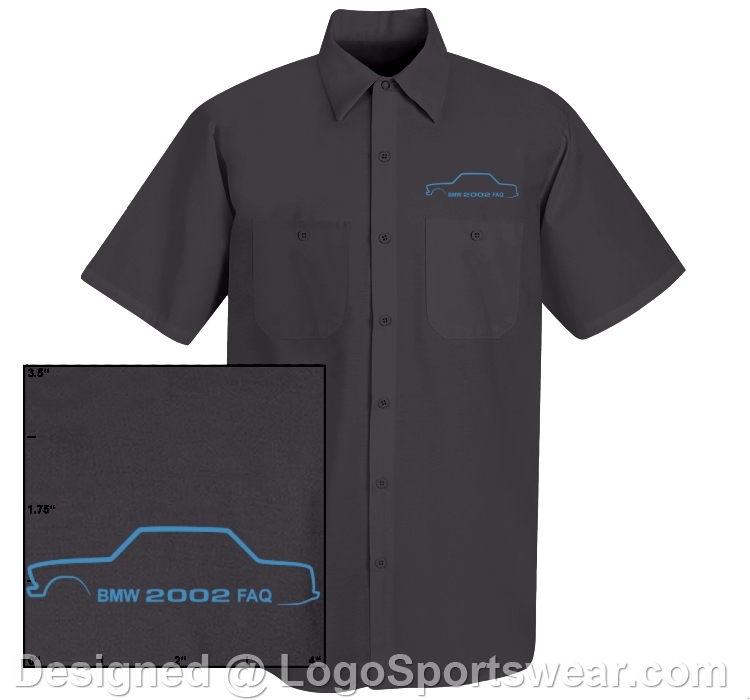 Available in multiple colors and are feature either a sedan or touring design. Choose shape and color. The decal is approximately 8" x 2.2" and fits perfectly on the rear vent window. Some custom colors can be created upon request. Strength, durability and great fit make this 65% polyester/35% 4.25 oz. cotton shirt a practical solution. Features include: Soil release, Two piece lined collar with stays, Two button thru pockets, Gripper at neck, Pencil slot in left pocket, Stitched down front facings. 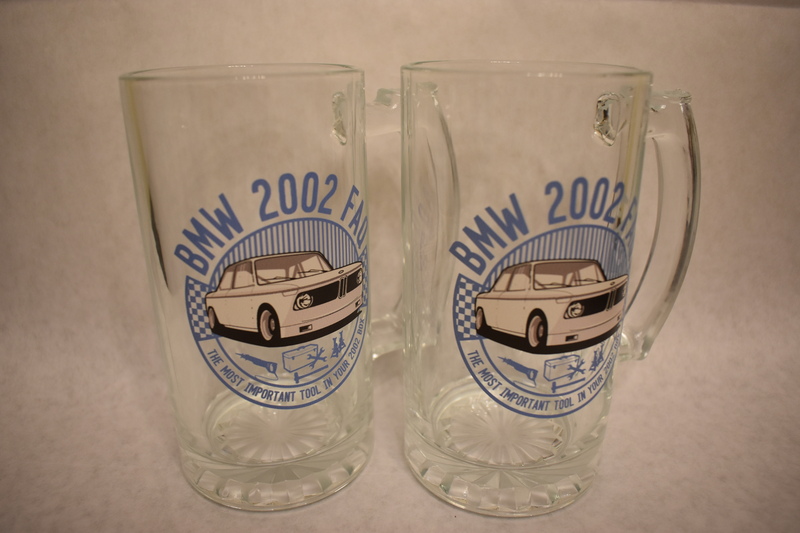 BMW 2002 FAQ Pint Glasses. Holds 16oz of your favorite drink. Hopefully not for long, so get two. 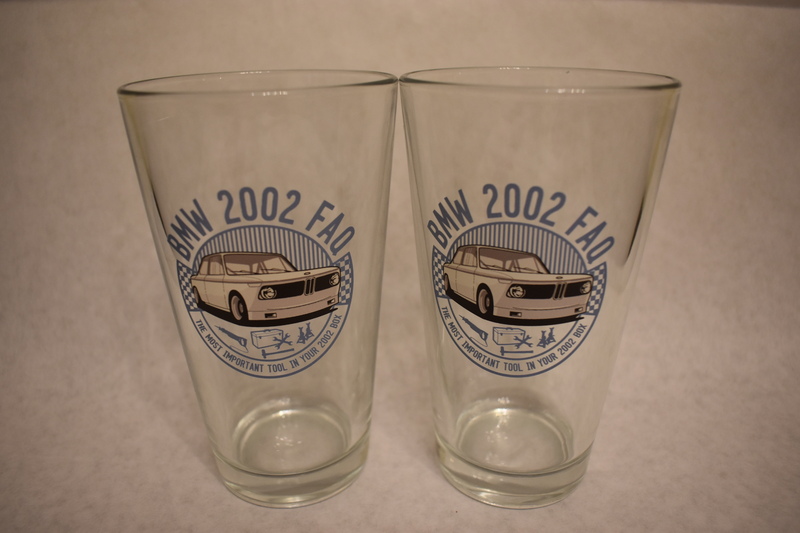 A 4-Pack of BMW 2002 FAQ Pint Glasses. Holds 16oz of your favorite drink. 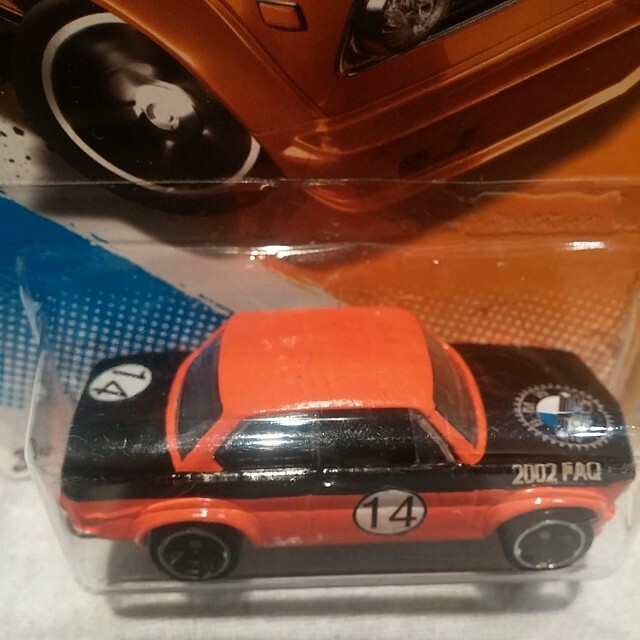 BMW 2002 FAQ Beer Mugs. Holds 16oz of your favorite drink. Hopefully not for long, so get two. 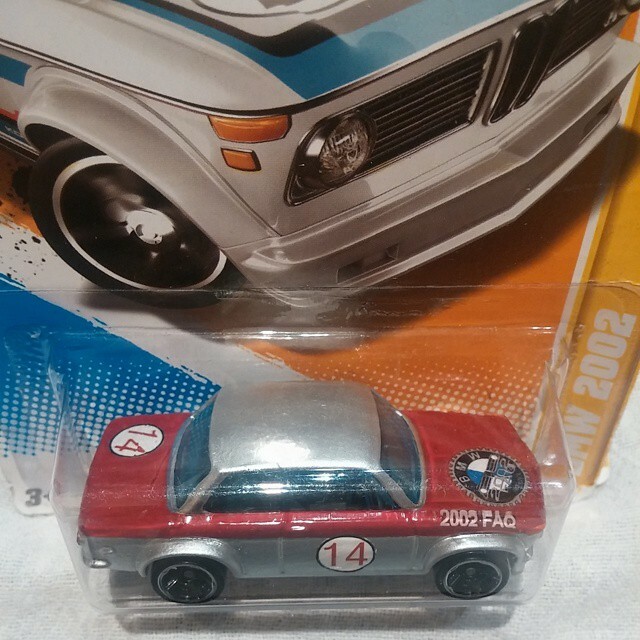 4 Pack of BMW 2002 FAQ Beer Mugs. Holds 16oz of your favorite drink. Great for beer or coffee. Evening or morning.